Greatness is understood best by comparison. 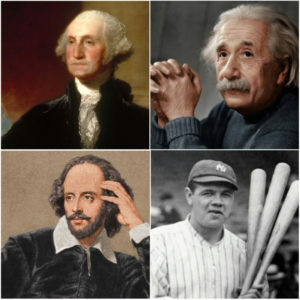 For example, all Presidents of the United States are compared with the greatness of George Washington. The best writers and playwrights are compared with William Shakespeare. World changing scientists are compared with the genius of Albert Einstein. And Hall of Fame baseball players are measured by the standards of Babe Ruth. It’s the same in the Bible with men of faith like Abraham, Moses, David, and more. Comparisons help us contextualize and comprehend a person’s greatness. In Hebrews 7:1-28, the author pulls out a rather obscure comparison to make a significant point. He compares the relatively unknown Melchizedek to Abraham, Moses, and the entire sacrificial system of the Mosaic Law to show how much greater Melchizedek (Genesis 14:18-20) was to all of them. And by further comparison to Melchizedek, JESUS is even greater. In fact, He’s our perfect high priest worthy of our trust.